You would be hard pushed to find a more emotive subject than money and finances and at Psychic Sight we understand that. 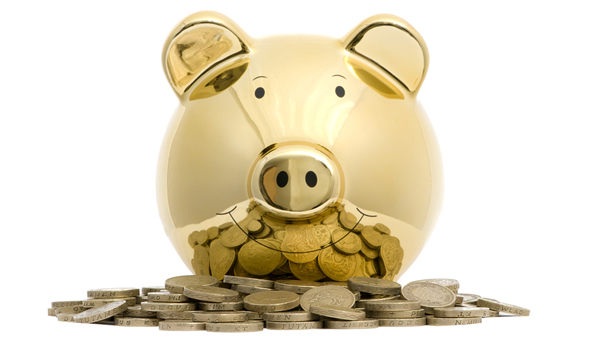 We have a number of readers that specialise in helping clients that have concerns relating to money matters. For example Michaela (PIN: 3232), during a seven year period she had seven bereavements one followed by another and her partner left her without explanation, and without money, job or home. These experiences gave her insight, strength and caring for others who find themselves in difficulty (financial and otherwise), and they assist her in turning negatives into positives. To see other readers that may be able to help you visit our Psychic Readers page. If you are young you may have college or university expenses to pay off, the struggle to find paid employment and perhaps needing to rent accommodation. As time moves on there may be wedding expenses, saving for a deposit for a house purchase or welcoming a new baby in to the family. Sadly in this day and age a job for life is a thing of the past so you may experience redundancy, early retirement and perhaps the need to use the benefits system for a while. Unfortunately relationships for whatever reason do not always work out and so the cost of a divorce or separation may come in to play. Whilst managing things day to day can seem bad enough there is the need to plan for retirement and then managing the money once you reach that stage. Whilst we do not like to think about these things it is also practical to carry out estate planning and make a will. Long term care may be a practical consideration and then at the end of someone’s life the funeral costs. The above scenarios will involve all sorts of financial products from bank accounts, savings accounts, pensions, mortgages and insurance that you will need to make decisions about, all of which can be stressful in itself. If you are in a relationship there are generally four ways to manage the money side of things – 1). Keep separate accounts, 2). Share everything, 3). Share some money responsibilities and keep other money separate or 4). The main earner pays their partner an allowance. Joint finances and the impact they have on an individual’s credit rating may also be a consideration. Communication – talk about your finances early on and keep talking about them. Try to pick a neutral time regularly to sit down and go through things. Decide if you have big financial goals to meet – such as a once in a life time holiday, a new conservatory or just saving for retirement and plan what you will do to meet these goals. Discuss bank accounts – joint, separate, savings etc. Build an emergency fund – 6 months worth of household expenses is recommended. Design a budget allowing for all important expenses – mortgage/rent, utilities etc. and then this will allow you to see what level of disposable income you have to spend on luxuries. Once the budget is set – check regularly to see that all parties are sticking to it. If you have debts – be open and honest about them; resolve to find ways to get out of debt before embarking on other plans. Seek expert help in this area. Once out of debt – try not to get back in to it. Whilst not everyone would have made the commitment of marriage, the marriage vow is relevant to all who have embarked on joint finances…”to have and to hold, from this day forward, for better, for worse, for richer, for poorer, in sickness and in health, until death do us part”. Hope (PIN: 3203) is also very good at offering a psychic reading with money components, she say “When it comes to our life, partners, children, home life, pets, our careers, talents and finance, spirit are very practical and can give assistance on many levels, all designed to help and to heal, and even let us know that life carries on beyond this world into the next. You can call Hope and our other readers by phoning 0906 110 7015 for a phone call paid via your phone bill or 0808 208 9175 for a credit card call (see full terms & conditions before calling). Psychic Sight or their readers are not financial professionals and this information does not constitute monetary advice. You should always consult professional independent financial advisors / organisations before making decisions regarding your finances. Psychic readings should not be used instead of professional financial advice.